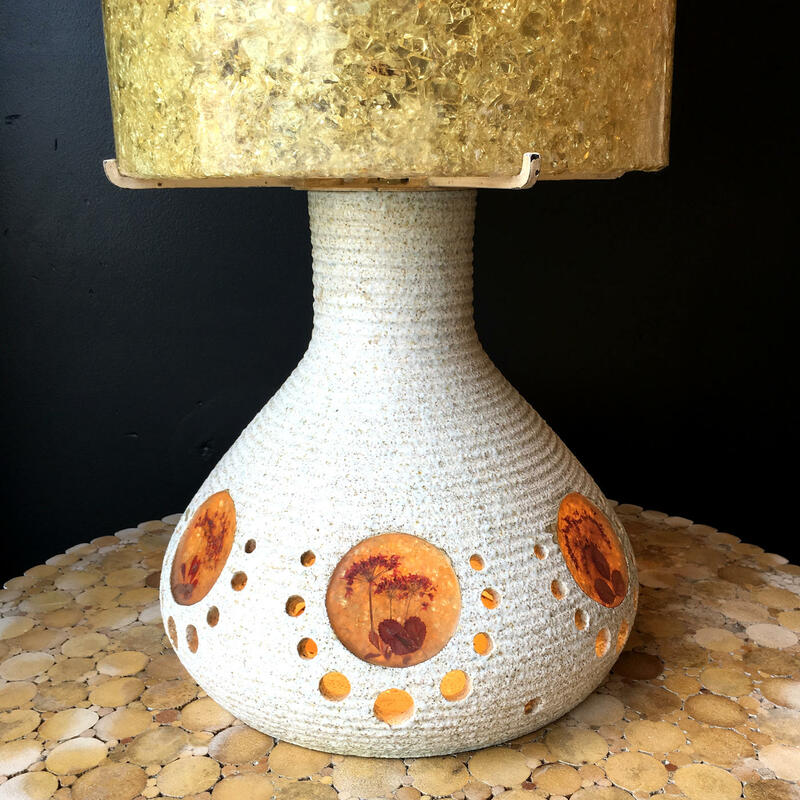 Rare French table lamp from the 1950s. 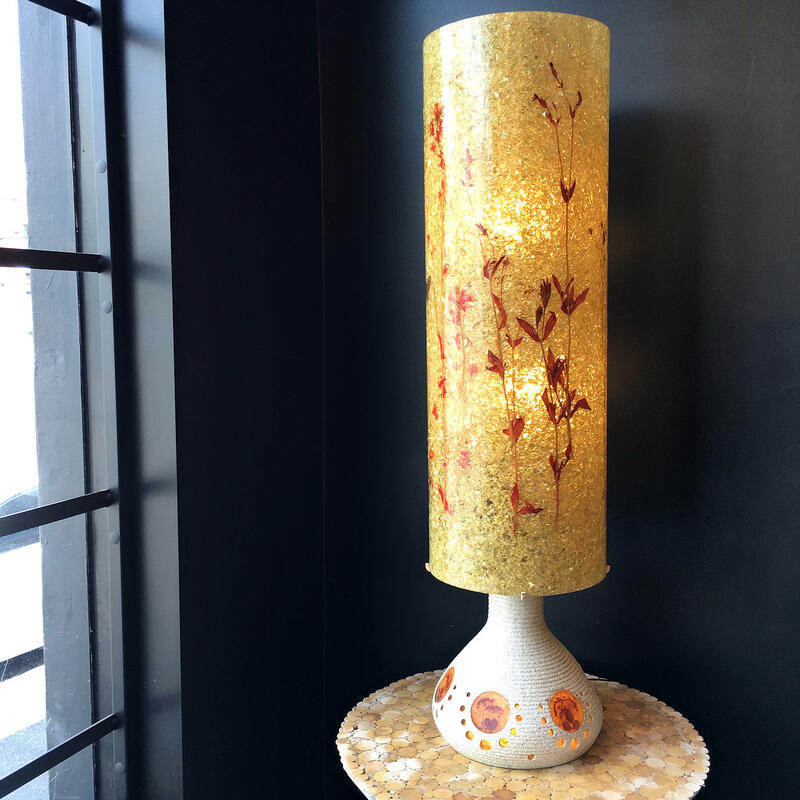 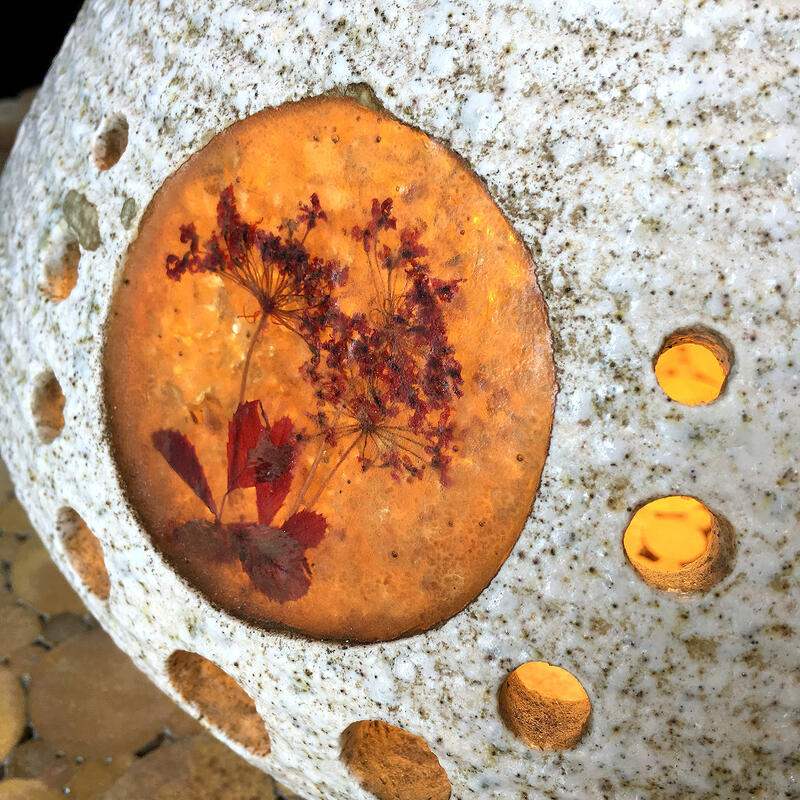 This mid century piece was made by the studio potters Accolay and features a pierced pottery base inset with resin discs and a tall resin shade encompassing foliage and butterflies. A stunning piece.